The death of Richard Wagner in 1883 began an unprecedented period of experimentation in German opera, which produced some of the most beautiful and challenging operas ever conceived between 1880 and 1930. This short course will introduce the work of five of the most important operatic composers of the period and will highlight many of the musical, dramatic and emotional innovations of this extraordinary era. All operas will be subtitled in English. 1. 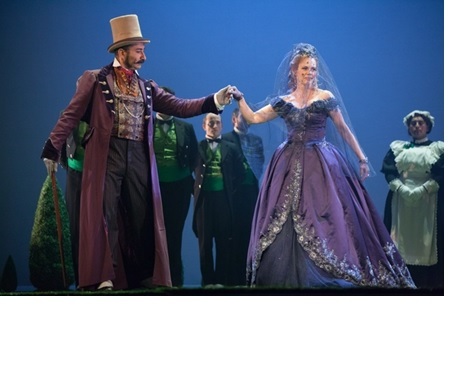 Wagner’s legacy – Engelbert Humperdinck and Hansel und Gretel. 2. Decadence and horror – Richard Strauss’ Salome. 3. Psychodrama and Symbolism – the work of Franz Schreker and Die Gezeichneten. 4. Romanticism and Expressionism – Erich Wolfgang Korngold and Die tote Stadt. 5. “The first great opera of the twentieth century” – Alban Berg and Wozzeck.